As we turn over our calendars to expose the new month, we are unsurprisingly greeted with May 1, known as May Day in many cultures. People celebrate it in a variety of ways, but most festivities involve weaving flowers into one’s hair, dancing in an inordinately silly manner and/or the bashing in the brains of factory bosses. May 1 holds meaning for me as well, though I cannot bring myself to think of it fondly. In my family, May 1 is remembered only as the Day of the Incident. It began, as so many unhappy stories do, with my mother’s Bridge Club. I’m afraid the competition between the women players extended far beyond the card game. The ladies were always trying to outdo each other in their personal lives: a husband’s promotion, a son’s sporting triumph or an exotic accent belonging to a cleaner—all were fodder for the rivalry. While often the bragging was greeted simply with patronizing nods, sometimes the afternoons would end with bitter silences and, on one occasion, actual bloodshed. One Tuesday, something said really set my mother off. It came from the mouth of Deborah Bullwinkle, a relative newcomer to the group, who was married to a dentist whose hygienist’s attitude my mother found objectionable. This particular afternoon, Mrs Bullwinkle came in with the story of her daughter’s first menstrual period, a tale so fascinating that no one could deny that she had “won” (not at cards, of course—my mother almost always won at bridge because she is famously a cheat). When my mother returned home, she was fuming. She began to pick on me—why hadn’t I cleaned up my room, swept the back porch or started dinner? She demanded to see my homework, something she rarely did as by then she had realised that my intellectual abilities had surpassed her own. She criticised my handwriting and noted that my dress was wrinkled. This abuse continued until she confessed that what was really upsetting her was the fact that I had yet to shed my uterine lining. Now when my mother came back from bridge, she was usually pretty loaded so there was no point in trying to introduce any logic into the conversation. At the time, I had yet to reach double digits so my lack of menstruation was hardly my fault. But my mother was determined that I should be able to outdo the Bullwinkles. She then announced that the next day—May 1—I would not be going into school but instead she and I would be heading to Gatsby’s Department Store. She would become the first of the Club to buy her daughter a proper, grown up lady’s brassiere. I shan’t go into great detail about the excursion, partly because I do not want to frighten my younger readers but also because the clerk has served her time and paid her debt to society. Suffice it to say that my mother was not amused by her suggestion that we start off with a training bra. My mother had not allowed me training wheels for my bicycle when I was learning (as evidenced by the still-visible-today scars on my knees), and “my daughter got her first training bra” would not earn her the respect she was expecting at next month’s bridge game. So the clerk, my mother and I bundled into the changing room with a pencil, a pad of paper, and a measuring tape, leaving little space for my dignity. Ultimately, my mother’s bragging about my early entry into the world of intimate apparel gave her the triumph she had hoped for. 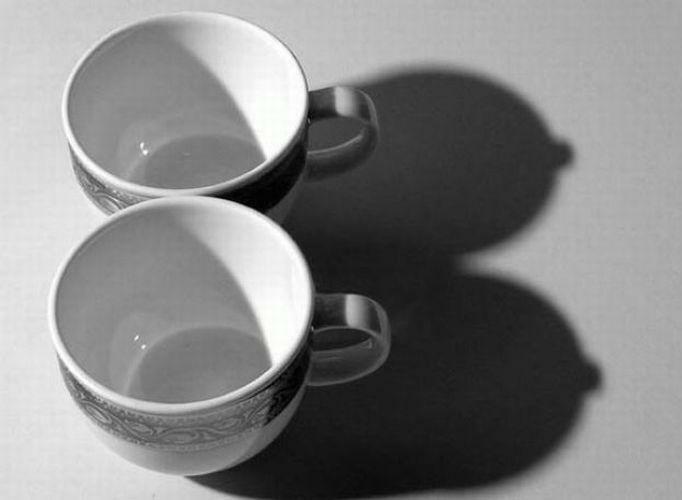 The fact that my bosom didn’t properly fill the cups until quite a few years later was irrelevant. My mother had turned my tender breast buds into a weapon, and it’s a testament to my moral fiber that I was able to overcome such trauma and go on to develop the magnificent bustline that I still maintain today. So this May Day be assured that I’ll be remembering the Incident and the hurt that it caused. Whether you’re dancing around with ribbons or demonstrating around a bonfire, you know I’d appreciate your taking a moment to think of me. Then, if you aren’t already doing so, think of my breasts.